You might have noticed that your televisions and radios are beginning to buzz with information about the First World War. The documentaries have begun to roll out and the dramatizations will soon follow. Within this gradual hype, the comic book contribution is also being acknowledged, albeit by our own kind. 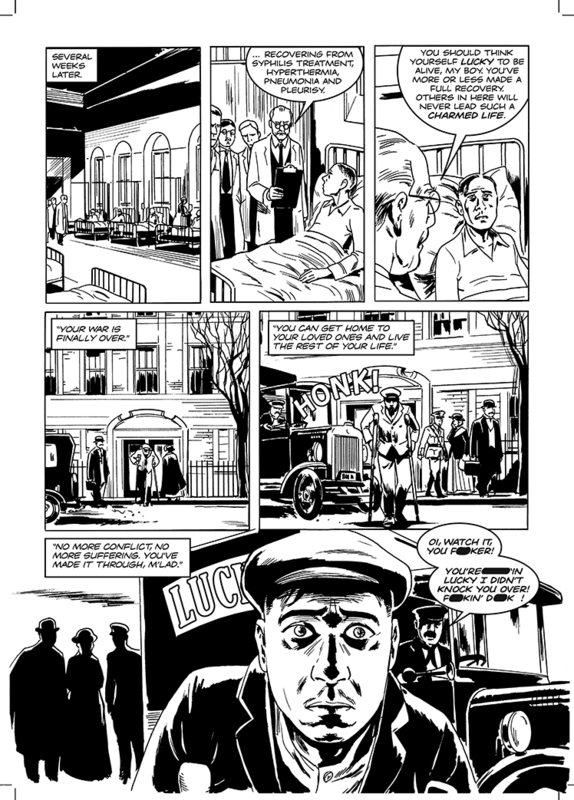 A recent exhibition of Tardi’s incredible work from It Was the War of the Trenches and Goddamn This War! 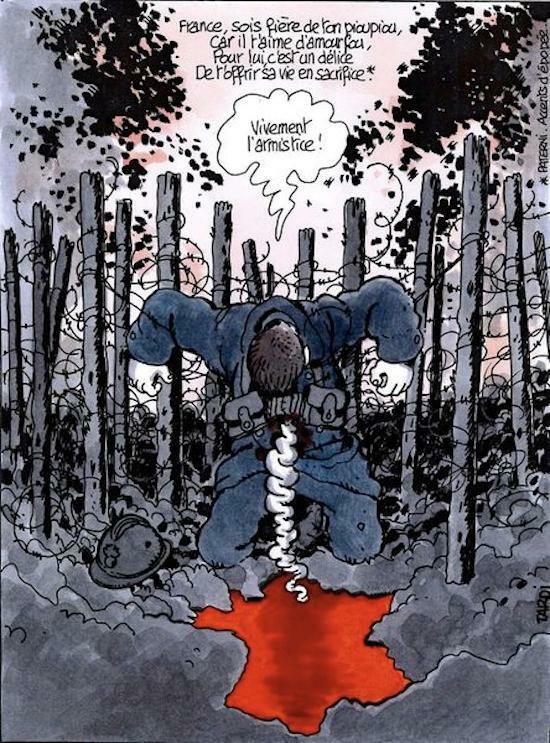 was held at this years Angoulême festival, and Pat Mills was interviewed about the latest translations of Charley’s War. The French have long been ahead of the curve when it comes to their production and attitude to comic books, so we’re happy to report that we’re currently putting the finishing touches on an interview for the Association des Critiques et des journalistes de Bande Dessinée that will appear in print sometime in March. The lovely thing about this is we were contacted completely out of the blue, which suggests their fingers are hovering firmly over the pulse. 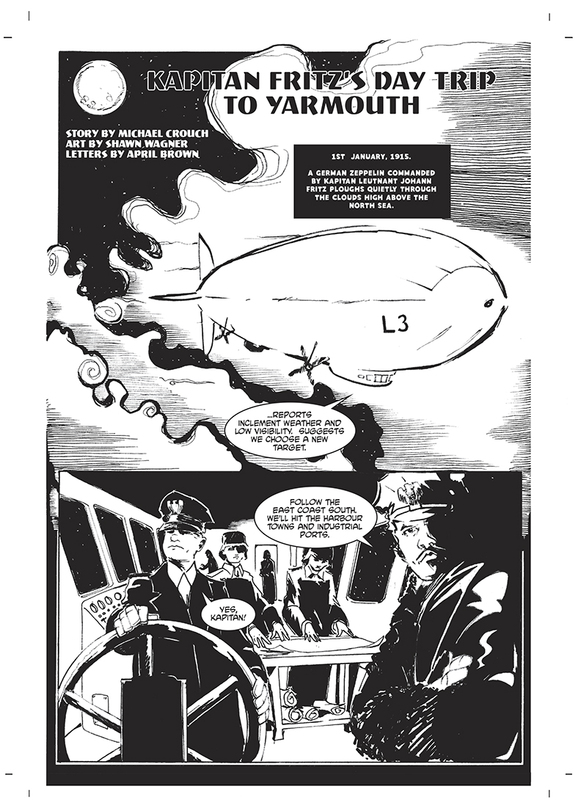 The Lakes International Comic Art Festival also announced an exhibition of WWI comic art, including Charley’s War and White Death, drawn by TEAW contributor Charlie Adlard. While TEAW won’t be part of this, we have been invited to give a talk on the process of developing the book. You’ll find details on the exhibition at the link below, and more on our involvement as it develops. Story, Art and letters by Gary and Warren Pleece.